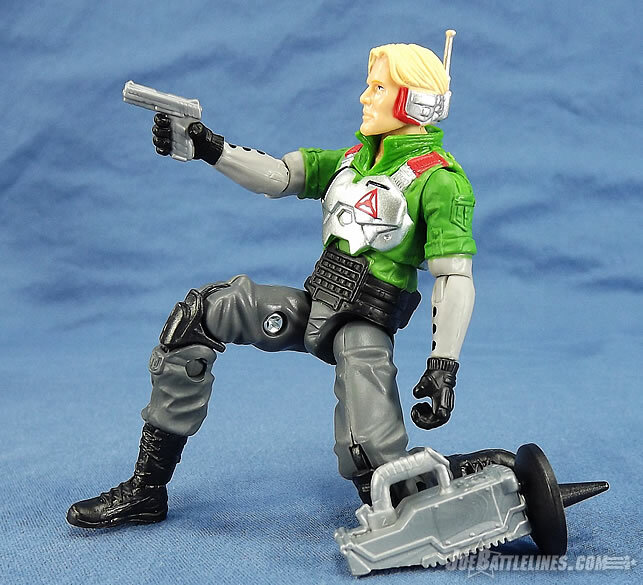 With that said; and despite my like of this figure, I will say I was a bit hesitant at his inclusion in the FSS so soon after the Night Force convention in which he debuted in those alternate colors. 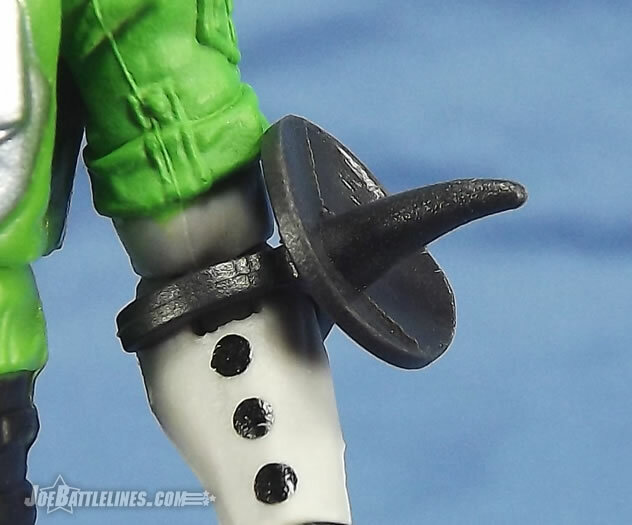 I felt that since he was already done, we should be getting a new figure instead of dipping back into the well for doubles. But in hand, I have to say I'm glad he was included in this wave, because I love this figure! What of your thoughts Freddie? Psyche-Out was always an odd figure in my eyes. 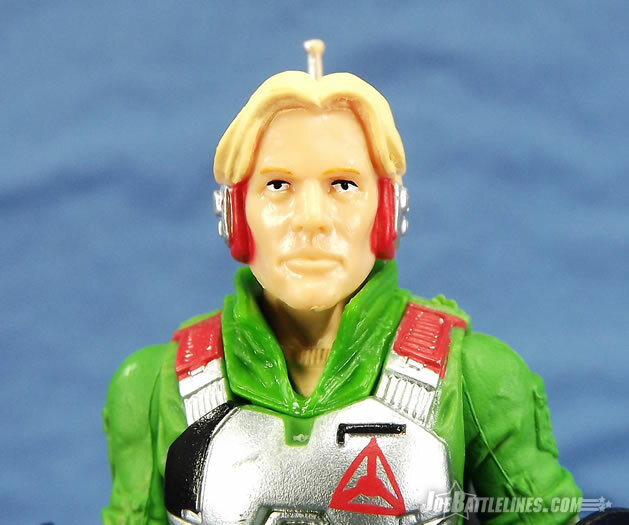 Maybe it’s because his headgear always reminded me of Lobot from The Empire Strike Back or maybe it was because he was released at a time when my interest in G.I. 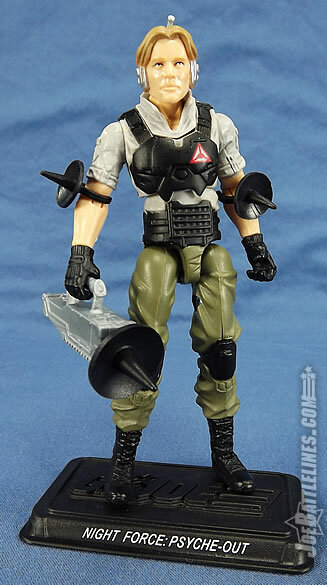 Joe was waning but he was never really much of a blip on my Joe-dar until after the line re-launched at retail in 2001. 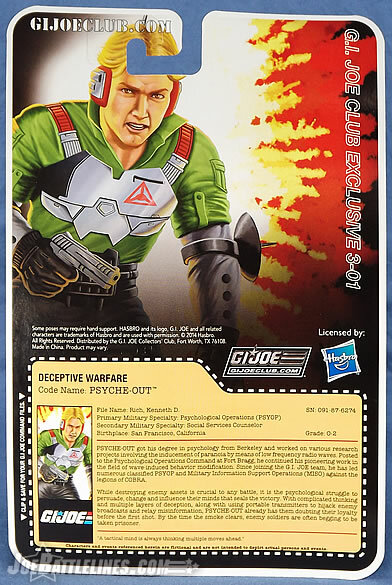 Granted, I like the concept of a Joe who wasn’t a front-line field trooper and especially one that specializes in the more psychological aspects of warfare. 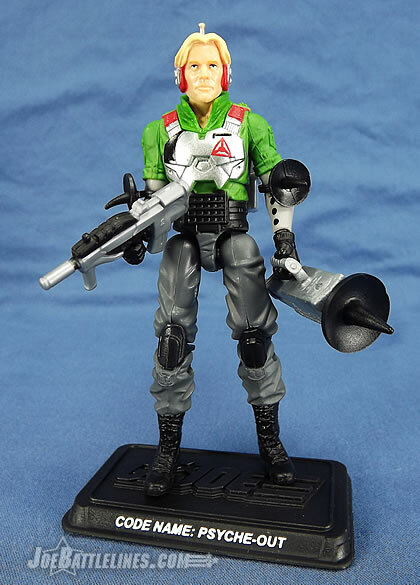 The Night Force Psyche-Out was one of my favorite parts of the 2013 Nocturnal Fire convention set and so I too found myself happy to see him included in FSS 3.0. (Even if it did feel like a way to recoup tooling $$$ on the GIJCC’s part.) It’s funny—I hardly ever gave my vintage figure a second thought but suddenly when it came to this new construction version I was fairly excited for his arrival. What a different a few decades can make! 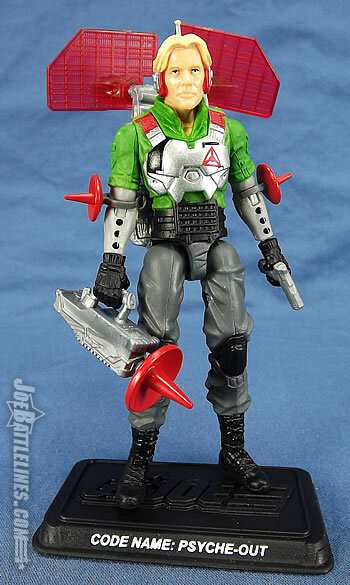 Construction-wise, Psyche-Out is a total repaint except his head. 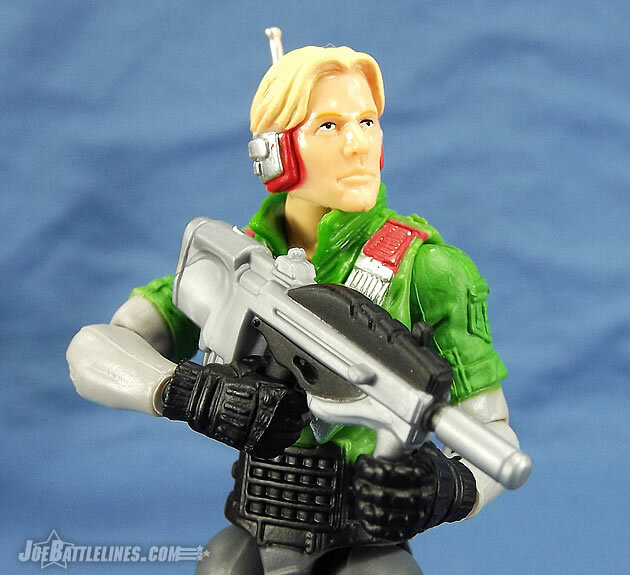 The PoC Duke body offers an uncanny match to the vintage version, and the newly tooled head from Boss Fight is a perfect match which firmly cements Psyche-Out as a genuinely great figure. But the merit of this figure; and the parts he’s made of, is: it’s a near-perfect spiritual successor with what we have on hand for the modern figure parts library. No, some of the details are not the same. That can't be helped. For example, the thing I miss most on the modern figure was the inability to carry over the quilted fabric detail of his shirt that the vintage one had. That was a very unique clothing aesthetic not too many figures had, so it was special in a way that it further differentiated him from the rest of the pack. I'll also dare to say vintage clothing details overall were superior to what we have today, as the modern figures haven't quite caught up to the intricate details the harder plastic of old allowed. But then again, I'm also a realist and fully understand back in the day the 'Joe budget was very generous and almost all new characters had the luxury of having brand new parts sculpted for them. Not so today, thus we harken back to the modern figure still being able to fulfill the core iconic elements of Psyche-Out---and pulling them off wonderfully! With the said, the figure isn't without flaws. My figure's left leg is shorter than his right leg, so he can't stand unless I keep him on a stand, or unless he's posed straddle-legged. I was not aware of this particular set of legs having proportion or length problems, so I'm wondering if the T-bar is set with one side angled up, or perhaps I had a defective knee which doesn't allow the leg to straighten fully. Either that or Psyche-Out has a leg cramp because he didn’t properly stretch before going into the package. Yeah, I know—weak attempt at humor. I’ll just sit here and patiently wait my turn while Chris goes into another doctoral level thesis on the color palette and aesthetic synergy of the design. I might even have some time to watch a Sunbow episode. 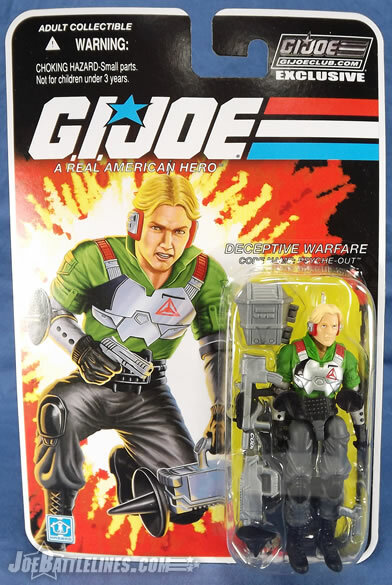 Too bad ole Kenneth Rich was never featured in any of the animation in this uniform. Deco is also wonderfully done. Like with Cross Country, Psyche-Out’s green was muted to a more acceptable shade rather than neon. 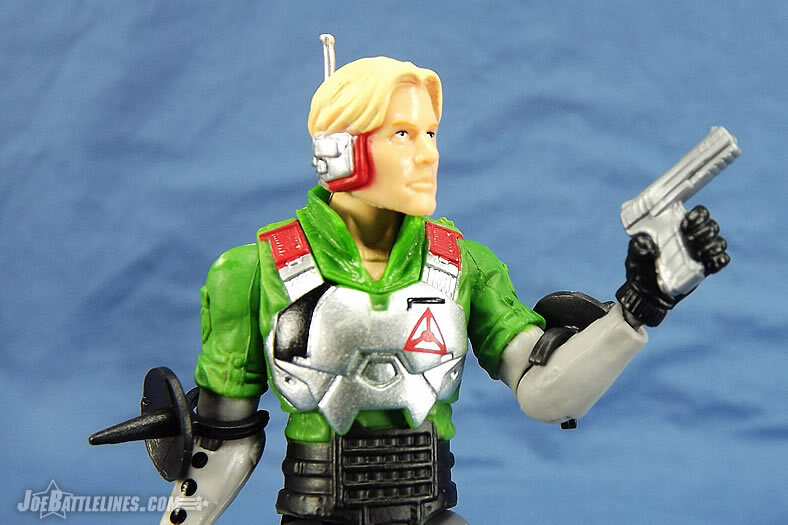 And while I dislike neon in almost all cases, I will confess I never minded the neon green on the vintage figure. In fact, I liked it. There, I said it! While loud, it did offer synergy with the rest of his color palette, and it worked in a seamless manner to create a futuristic looking figure that still could be playable without overly garish shades that in other hues in neon could not pull off. But regardless, he looks much better now. I was also very pleased the Club added his spandex “Under Armour” long sleeves to this version, and included the black dotted detail that was missing from the Night Force version. That was a iconic part of the original figure, and its absence from the Night Force version was a sore point with me. (I'm a sucker for cool and unusual clothing details.) By putting it back on, this helped differentiate the two figures a bit more, and it further likens this version to the original. Details matter, so I'm glad they didn't skimp out this time. Who knew that ole Psyche-Out was ahead of his name. The man wore “Under Armor” before all of the running enthusiasts did! I still don’t understand the purpose of the three dots but they are indeed accurate to the original version. The rest of his colors are accurate, and as with the original figure, the synergy of colors still works to make this a very striking figure. I was also pleased the paint applications were great! 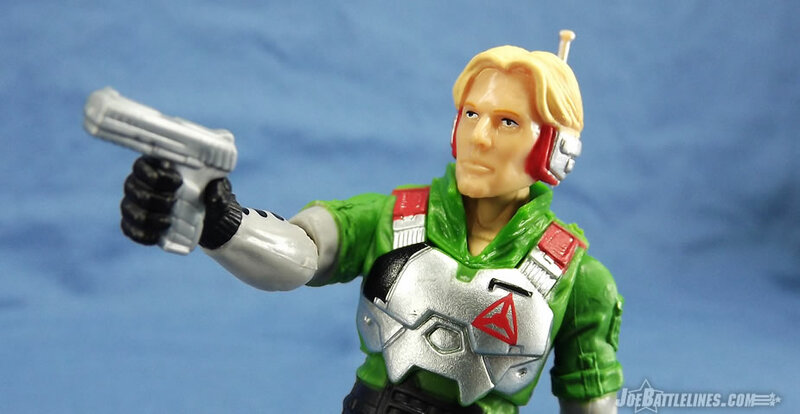 Such a relief after the terrible, terrible paint applications that were slopped the 50th Anniversary figures. The Club also went the extra mile by adding his shoulder patch on his chest armor---a very appreciated touch considering it wouldn't have worked on the shoulder proper, and they could have simply left it off. Any issues with your figure Fred? For the most part, I got pretty lucky when it came to Psyche-Out. No real paint issues or missing paint applications on my figure at all. In the pictures you can make out an odd scuff on the paint on the right-hand side of the chest plate but personally I think it gives him some character. 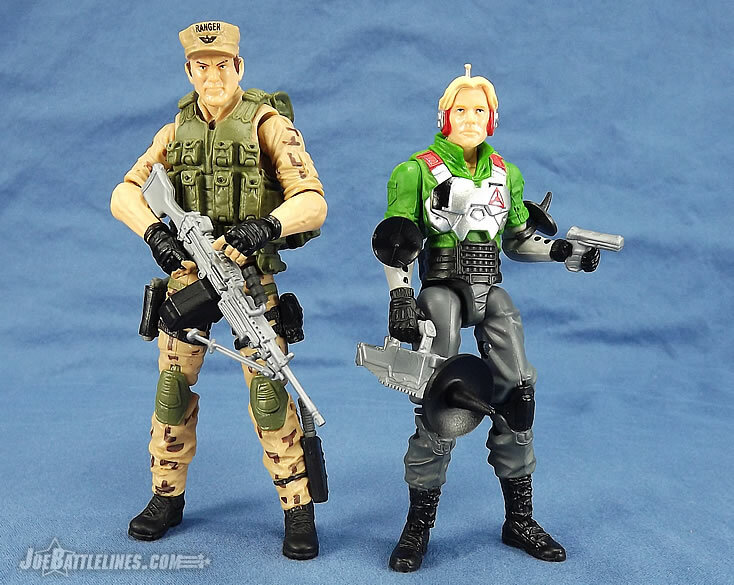 I like my Joes to look slightly weathered and not like they’ve just stepped out of wardrobe. Once again I find myself missing the hinged wrists that have become standard on most of the newer figures but that’s my only real knock on the figure itself. 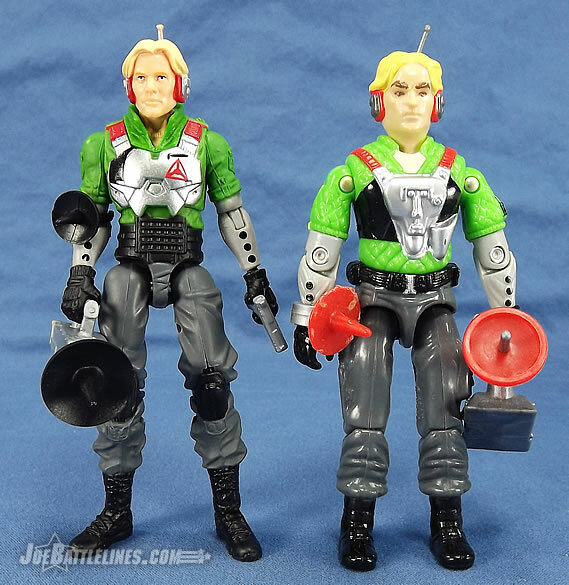 Psyche-Out comes with basically the same gear his original came with, but obviously some parts were modernized or supplemented with what was existing now. 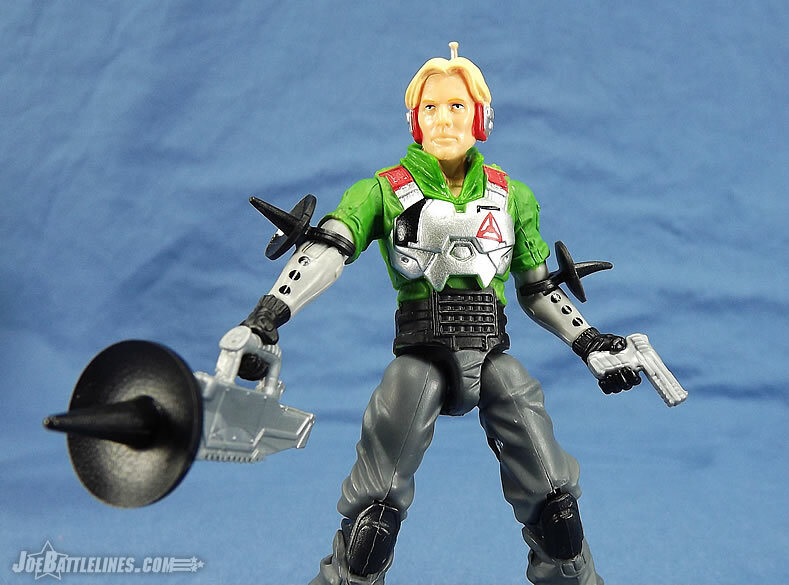 (For those who demand more authentic accuracy, all of his vintage accessories can work except the backpack.) And as with everything else, it's very faithful. 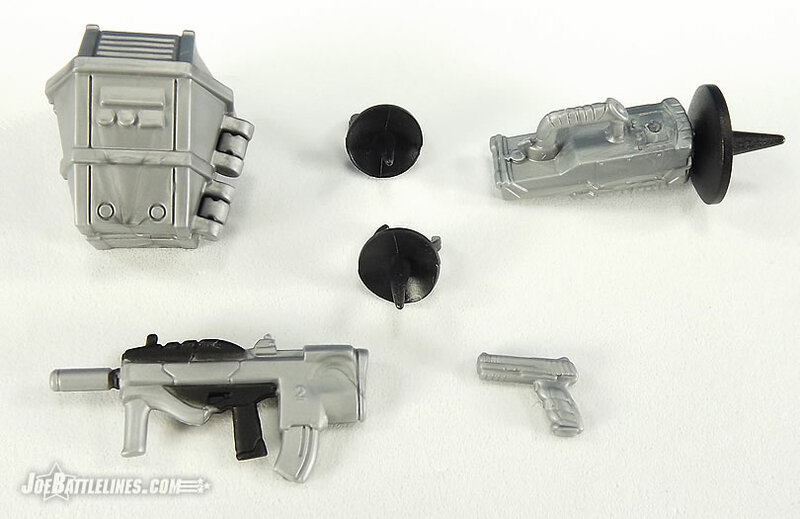 The addition of the SMG adds more firepower than his vintage counterpart which only carried a pistol, but it's a great addition. The SMG's bullpup design and compact shape compliment the rest of his gear, giving him a sleek load-out in case he needs to "go loud". I don't even mind the weapon's primary color of Club-gray since they broke up the monotony with some black detailing. 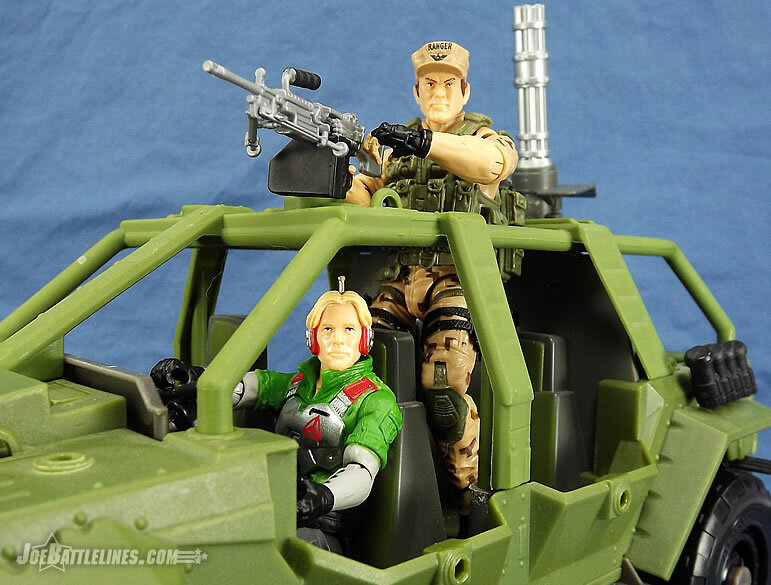 My only issue with the SMG is that it’s not a great fit in the figure’s hands. 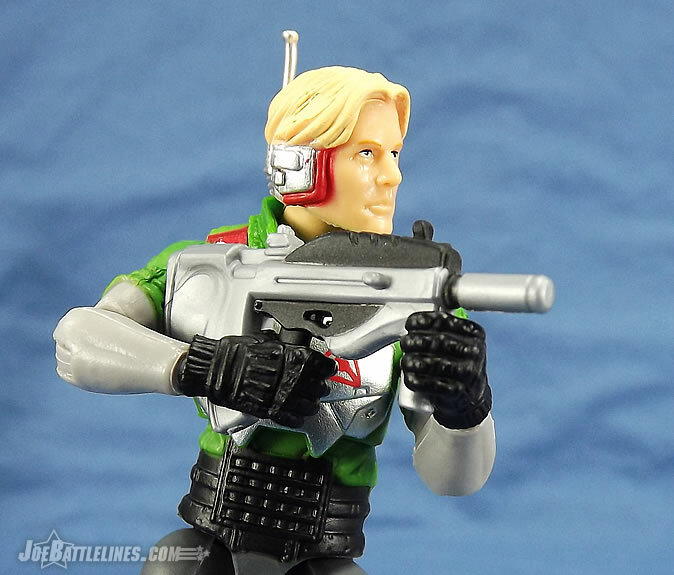 It’s mostly due to the lack of hinged wrists but I found that it was far trickier to achieve any sort of realistic firing pose with the SMG than I would have liked. 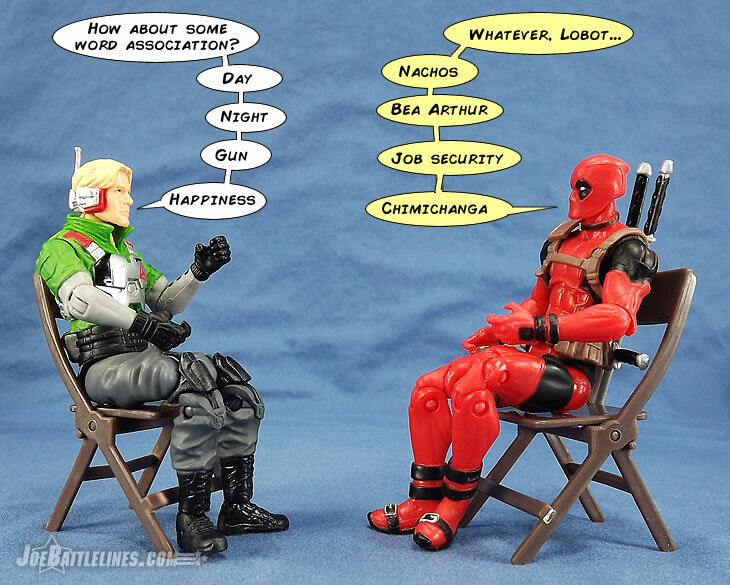 As such, my figure is primarily a pistol-packing psychologist and he’s okay with that. 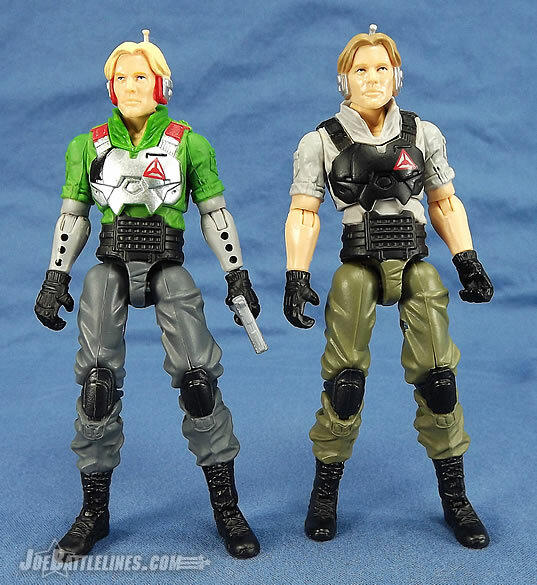 It's also worth mentioning this version of Psyche-Out comes with his accessories colored in his Night Force hues, while his Night Force version came with gear in his normal shades. So if you want an even more accurate version with red sonic emitter dishes, you’ll need to swap them out with a NF version if you have it. (And vice versa.) This was a cool touch because it was forward thinking from the Club. I ended up swapping them out on mine. Granted the arm-emitter dishes seem to be a pretty soft plastic and one of mine has already warped to the point that it doesn’t really want to stay on. 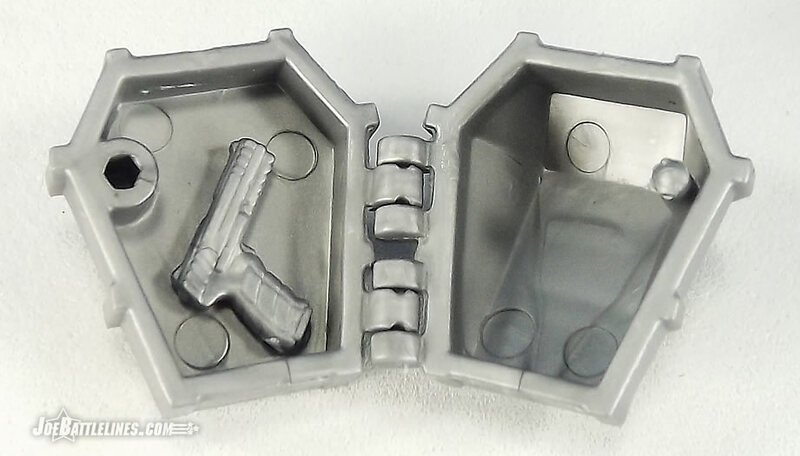 They’ll probably just end up in a parts bin as I’m not a huge fan of them but it’s nice that they’re an optional display element for those who want to replicate the vintage look as much as possible. Finally, the card art seems much better than much of what we've seen in the past from the Club, so I hope this trend continues. Granted I personally open all my stuff anyway, so the card art isn't a huge issue for me, but for those who do keep things carded, there is no excuse for shorts cuts on the card art. If I had to cite a last token gripe, it would be the failure to fix his codename. 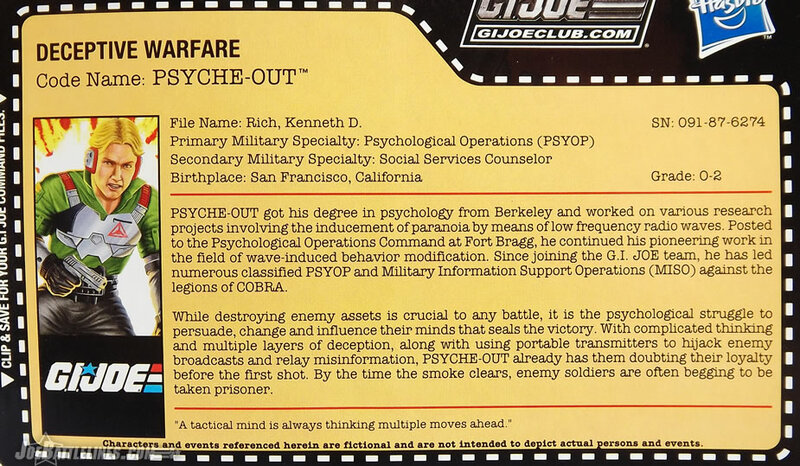 From the get-go in the 80's, Psyche-Out's name was misspelled. It should be "Psych-Out", but as it's currently spelled, the 'e' is long as in "psyche"---which references the soul or spirit, not the mind. I was hoping against hope someone would have caught this and finally fixed it for posterity's sake, but that was not to be. It’s like I’m co-writing these with my college English professor! Scratch that—he was actually an ex-hippy who felt that grammar was optional in favor of “the pulse of the narrative.” (No joke!) This is more like my high school English teacher from junior year. Still, now that Chris has pointed it out I honestly can’t “un-see” it. Who knew? Overall Psyche-Out is exactly what I'd expect from a premium-priced, adult-collector toy line: Beautiful aesthetics, great articulation, a new head, and a wonderful tribute to what came before. I would highly recommend this to all collectors because this is a sterling example of everything falling into place to make the best figure possible. 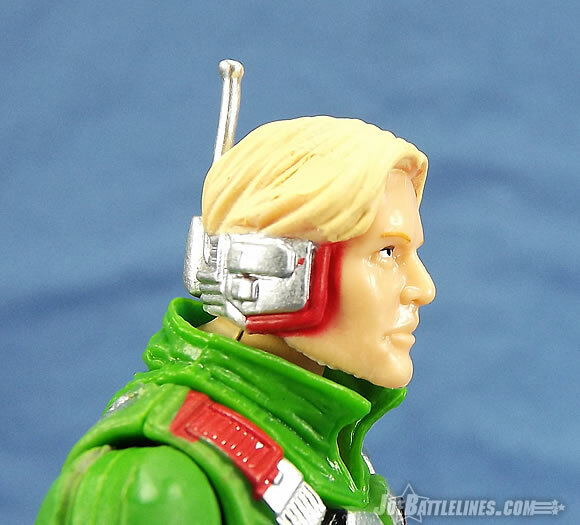 The Bottom Line : A solid update to a vintage figure that actually comes across as an improvement to the original! A worthy addition to the updated 1988 roster!